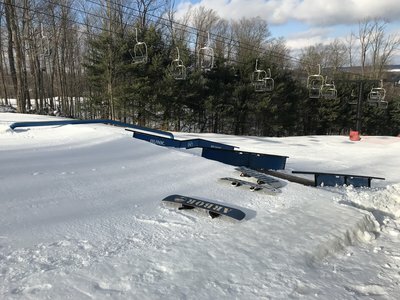 We’re hosting a rail jam on February 17th. Registration starts at 11 AM and is free to enter. All ages, there will be prizes and give aways. I’ll have pictures and a set up plan posted ASAP. We’re putting in features for it this week. Hope to see a lot of people there! I just took off of work for it! I'll see you there! Is that massive flat down rail really 1 piece? nxtyrsfulltilts Is that massive flat down rail really 1 piece?